Here are some of my favorite September finds. 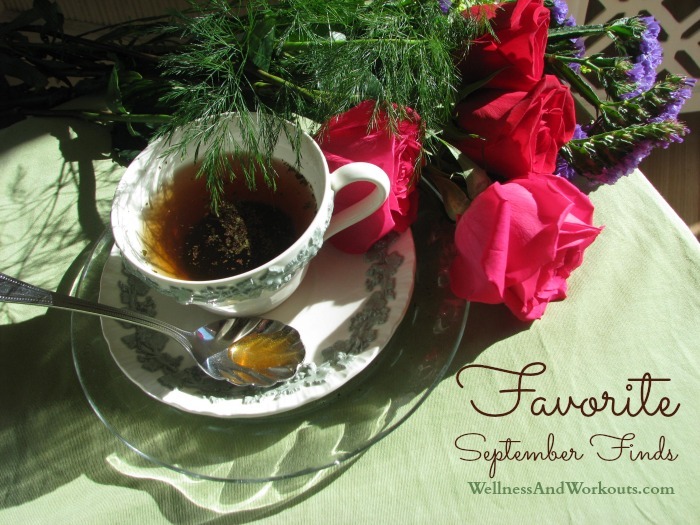 Please, get yourself a cup of tea, sit back, and enjoy these wonderful blog posts! Five health benefits of pumpkin seeds from LA Healthy Living. I found this Pumpkin Spiced Latte recipe at The Sprouting Seed. Need I say more?! Here is a recipe for Curry Spiced Pumpkin Seeds from Real Food RN. Did you know you can save money by making your own coconut butter? Allison at The Sprouting Seed can show you how. I want to try this! How do you select coconut oil? Learn about refined vs unrefined coconut oil at The Nourished Life. Check out this delicious looking Coconut Cloud Cake from Real Food Outlaws. Yum! While you are there, take a look at these Pumpkin Pie Pancakes. I found this Coconut Flour Zucchini Bread at Small Footprint Family. I love the photo of these homemade gummies at Meatified! Meatified also has a Paleo Alfredo recipe that looks amazing. Homemade Mommy shows how to make cottage cheese at home. Sweet Plantains gives some ideas for natural eczema treatments. Don't Mess With Mama tells us which grocery store foods to avoid--a really great article.